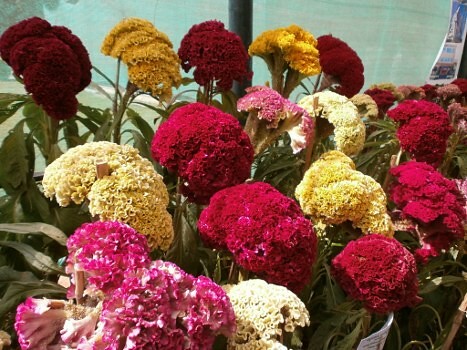 You might also want to have a look at Coimbatore Flower Show – 2011 photos. 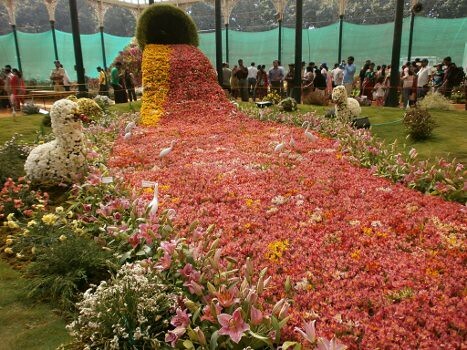 I had visited the flower show once when we were in Bangalore. It is breathtakingly beautiful…your pictures show it! Each and every frame is beautiful. For me, the best picture is the 4th one! I am already following your technique! Because of this habit, my picassa web album is overflowing with inferior pictures! 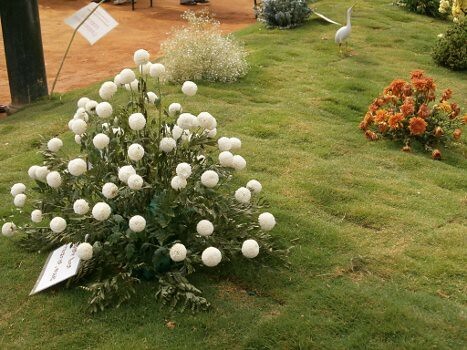 I have been visiting here in uk to some flower shows and they are mighty impressive , other then the ROse garden festival in chandigarh i have not been anywhere ..
hey were u in Banglore???? for the show??? we could have met!!! 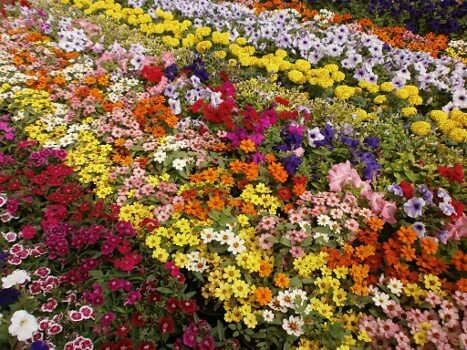 beautiful pictures & yes the effort that they have put in is mind-boggling & the sheer quantity of flowers -my god! I was in Bangalore for a couple of days but was occupied in shuttling between Hosur and some tourist places in Bangalore, this time. Next time I come, I’ll definitely ping you. You should have gone to this show – This time, it was too good! 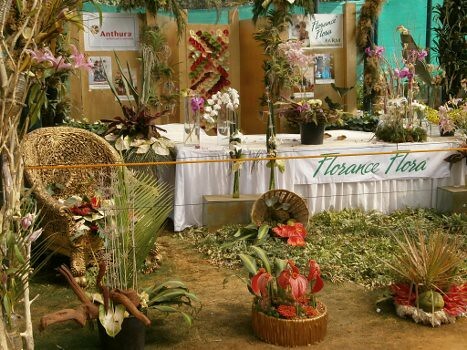 I have gone to one flower show before 3 years, that was not as good as this. But, I am sure they will come up with something better next time! Thanks SM. The show was indeed excellent. I guess a lot of effort and talent went behind organizing this one! 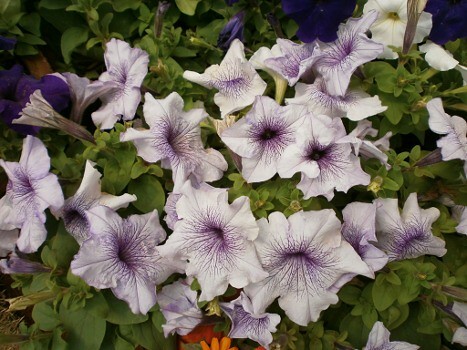 The flowers are so lovely to look at and so pleasant to smell – Optimism. 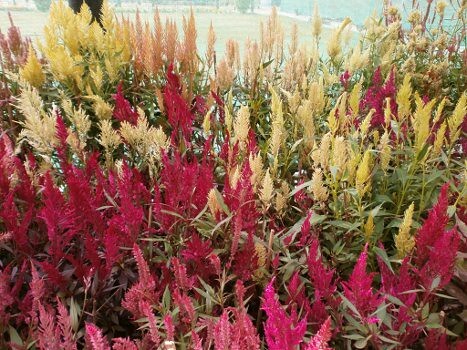 The fourth one is the best one and required 4,00,000 flowers – Is it Sufism ? 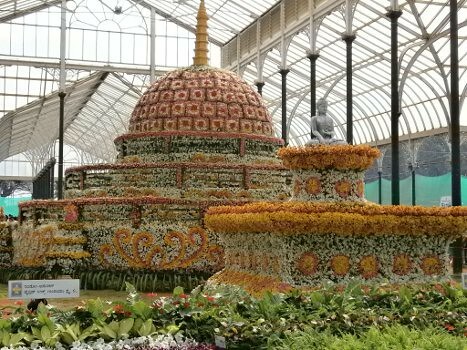 That buddhist stupa arrangement and the flowing carpet of flowers is brilliant! 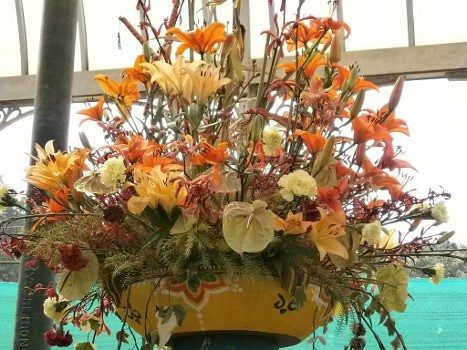 If only I have a job as flower arranger in Lalbagh, I would be so overwhelmed to take up that job!! 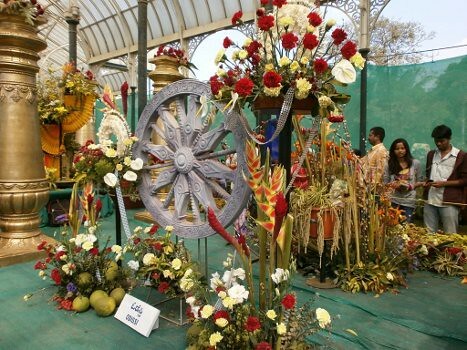 I lived in BLR for 2.5 years, but missed this flower festival all the time. Thanks for bringing it to our view! Visually appealing, totally! 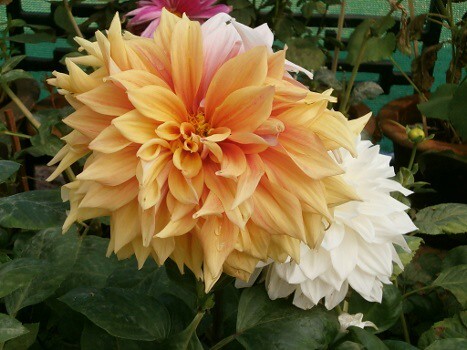 Ah, you are putting up so many photo posts in your own blog and are J of this small photo post! 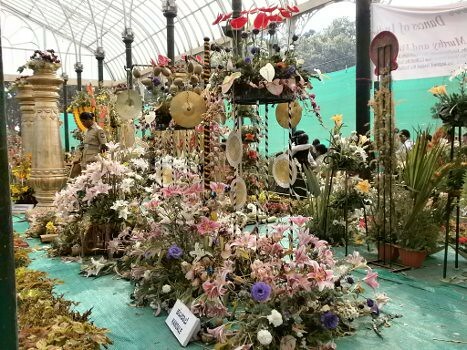 Don’t tell me 🙂 I have gone to a Lalbagh flower show before three years, but that one was not as good as this. Perhaps they’ll make it even better in future. Don’t miss it next time when you are in Bangalore. Occasions such as these this make photography very interesting – filled with wonderful colours and great dimensions. Good post, as ever!